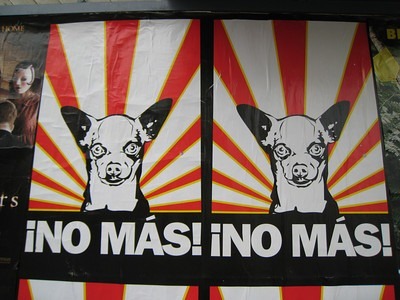 más MAS is a feature I added to the Critical MAS blog with links to things that I’m doing that are outside of this blog. The first edition was back in June. Reduce Your WordPress Resource Usage With Login CAPTCHA – If you have a popular WordPress blog, there are bots hammering away at your login page trying to hack you. Now I am wise enough to not to use “admin” or the name of the website for my username. And I am also wise enough to pick a password so long it can’t be cracked. But all this doesn’t stop the bots. The problem is every attempt they make to login into the backend of my blog counts as Resource Usage, which is something I pay for. This article explains how I thwarted the bots and saved my Resource Usage. CoffeeClub.app – I updated the database so event names that use emojis now display correctly. Simple Soundboard – I updated the code for the Soundboard I wrote so it no longer requires PHP. You can hand edit a JSON file if you like to run your own Soundboard. I do have PHP code to generate the JSON file and soon will have NodeJS code as well. I was running a plugin to prevent SPAM comments that asked people to enter the year under the Submit Button. Because I was always logged in as me, I never saw the button or interacted with it. Instead of alerting the user they needed to fill out the field, it posted to a screen saying their comment was SPAM. Only those comments never ended up in a place where I could see them and unflag them. They were lost. I removed that plugin. I’m sorry if you tried to post a comment and it got rejected. I’d rather deal with extra SPAM than lose a single valid comment. Previously got the Spam alert message while commenting, but figured it out quickly. I’d say it was intuitive to figure out AFTER getting the spam message. Also, populating the year field was a lot less annoying than trying to determine how many images have cars, or the like. @Jim – Any friction to leaving a comment is bad. I know I lost some comments. Thankfully, a reader alerted me to the issue.